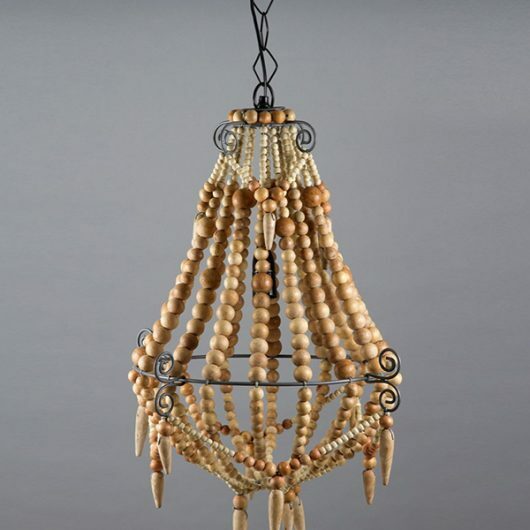 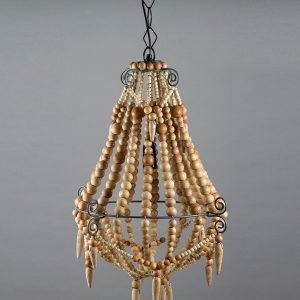 The Small Boho Natural Beaded Chandelier features strands of hand painted wooden beads which have been threaded together with wire to create this stunning statement piece that is sure to impress in any setting, and suits a wide range of interior styles from Boho Coastal, to Bohemian luxe, casual Scandinanvian, tribal style to modern or classically inspired styling. Feature as a stand alone focal piece in a bedroom, nursery, bathroom, laundry or entry hall. You could be more adventurous and create a two-piece cluster with a Large Natural Boho Beaded Chandelier or add contrast with either a small black or white chandelier. 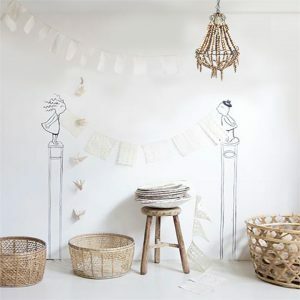 The design possibilities are endless.